Bring some simple, rustic charm to your bedroom with this dresser. The wire brushed finish exhibits the solid wood and accentuates the decorative hardware, giving off a rugged feel while the six ample sized drawers provide plenty of room for bedroom storage. 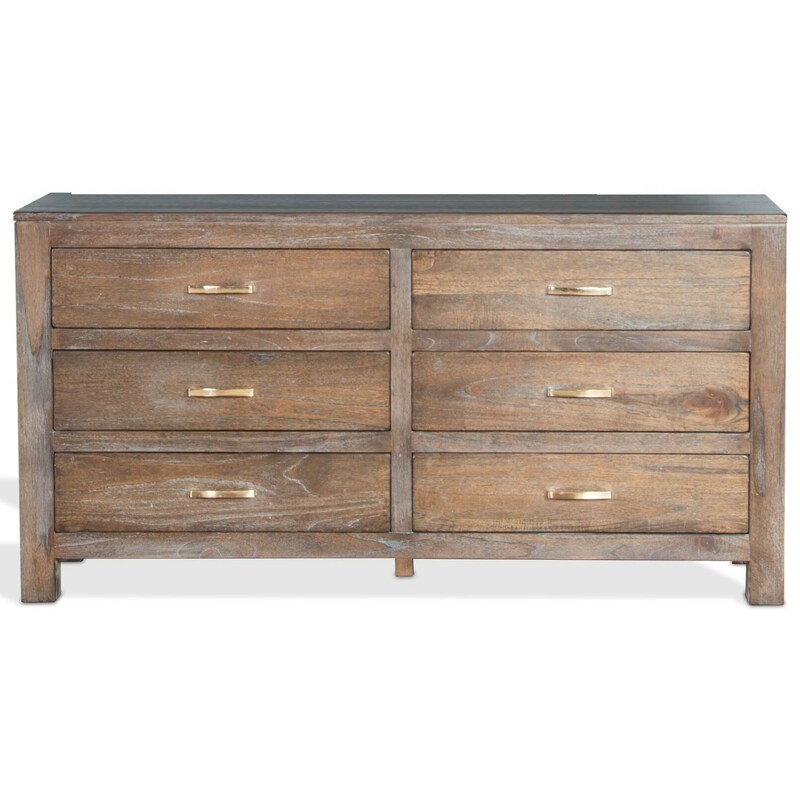 This rustic piece is an ideal addition to any bedroom that needs both style and substance. The Reno Rustic Dresser with 6 Drawers by VFM Signature at Virginia Furniture Market in the Rocky Mount, Roanoke, Lynchburg, Christiansburg, Blacksburg, Virginia area. Product availability may vary. Contact us for the most current availability on this product.